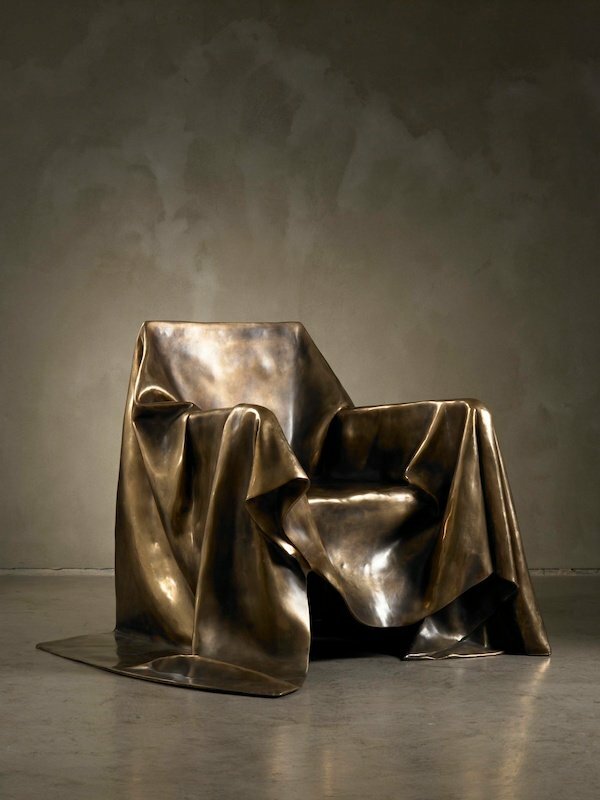 Born in Bozzano Lucca in 1967, Italian sculptor and designer Andrea Salvetti studied architecture at the University of Florence under fellow artisan Guido Cristofani. 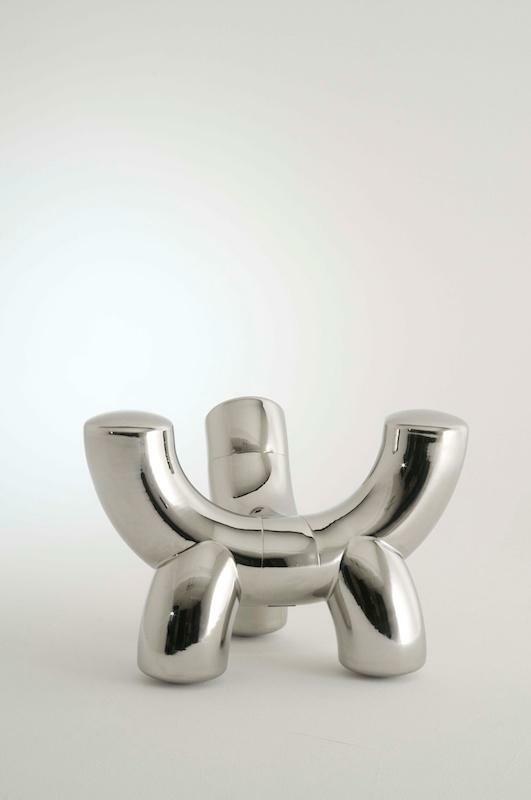 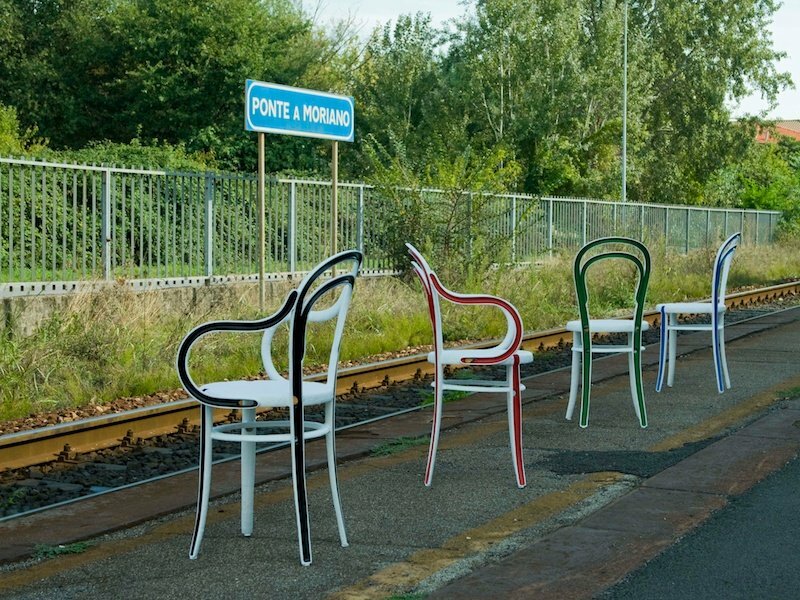 Salvetti began his ongoing collaboration with Dilmos Milano in 1996 with the exhibition of the aluminu-cast Monozoo chair-sculpture collection at Salone del Mobile. 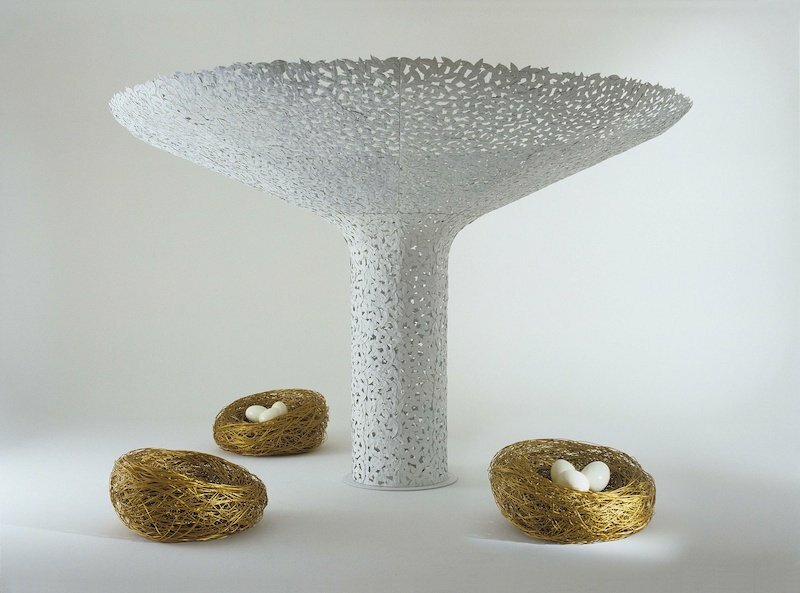 Salvetti is known for designs and furniture-sculptures inspired by the wonder of the natural world, often cast in his mediums of choice; aluminum and bronze. 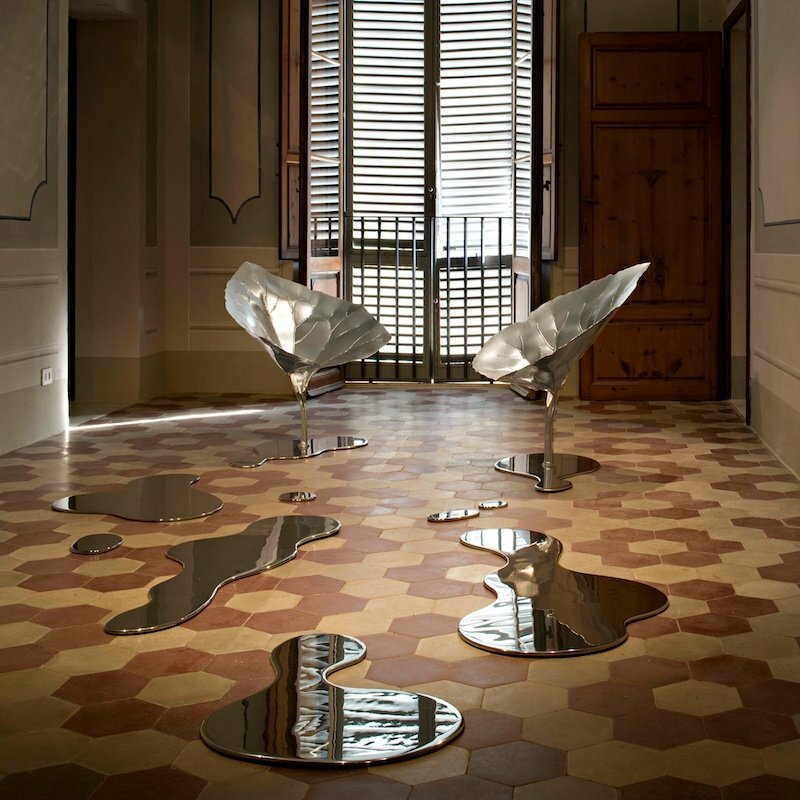 He also explores the interaction between food and art, often with interactive, edible sculptures. 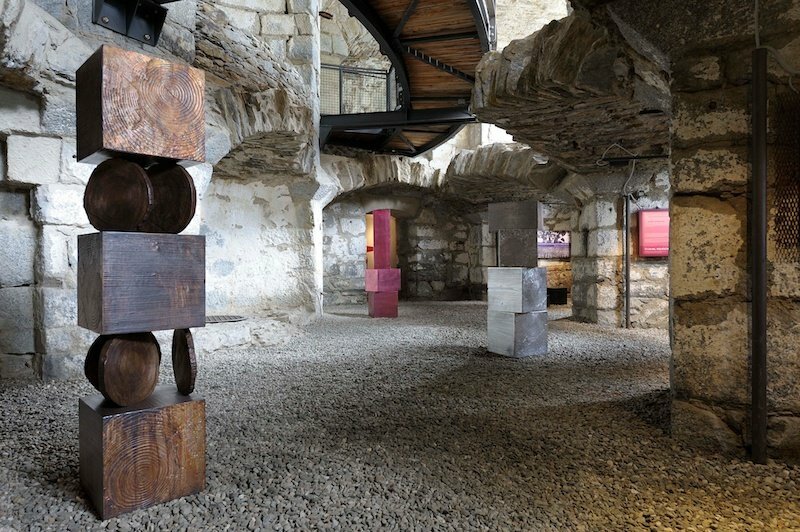 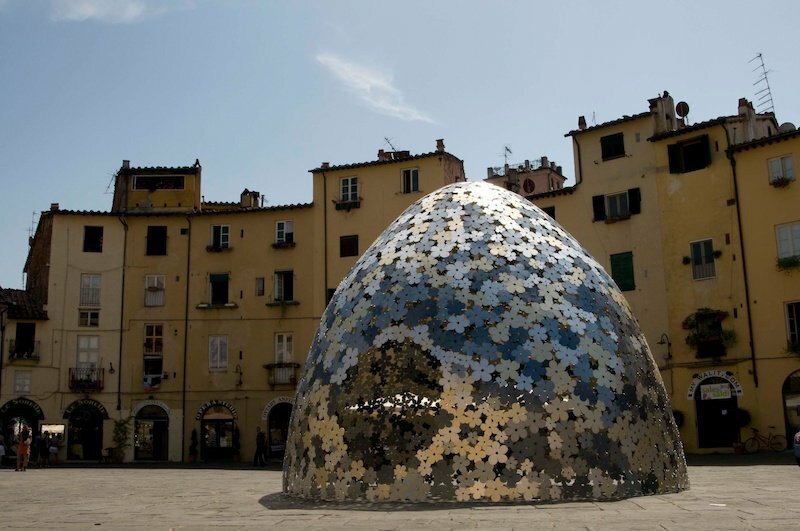 Notable projects from his ouevre include L’Albero [Tree], Tronchi [Trunk], L’apparita [Apparition], and a series of aluminum, cloud-like sculptures called Domestic Nature (2012). 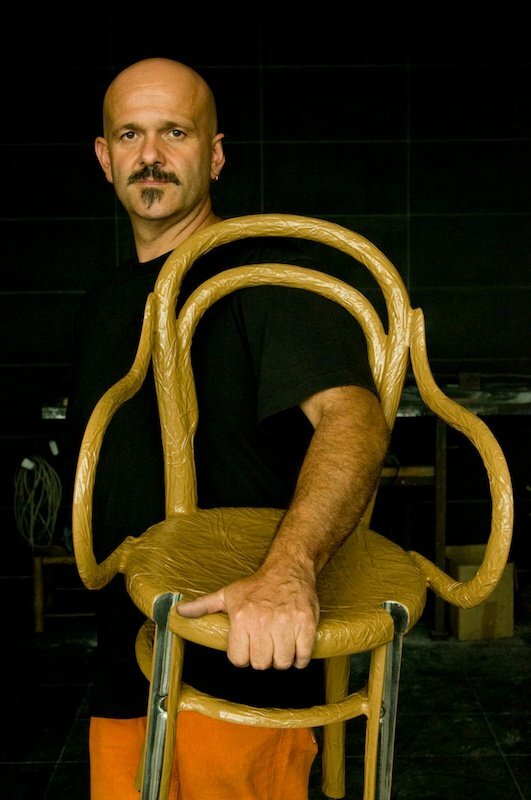 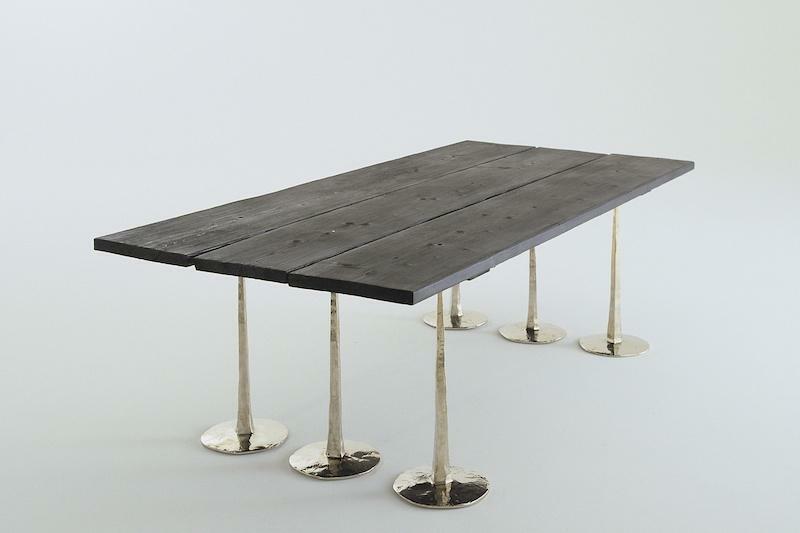 He works with a variety of furniture companies, and has designed pieces for both private residences and public spaces.